Photo exhibition 『Land's End North x South』 in the Konica Minolta plaza in Tokyo and Shinjuku. Kolkata is in India that is the earth of the chaotic. 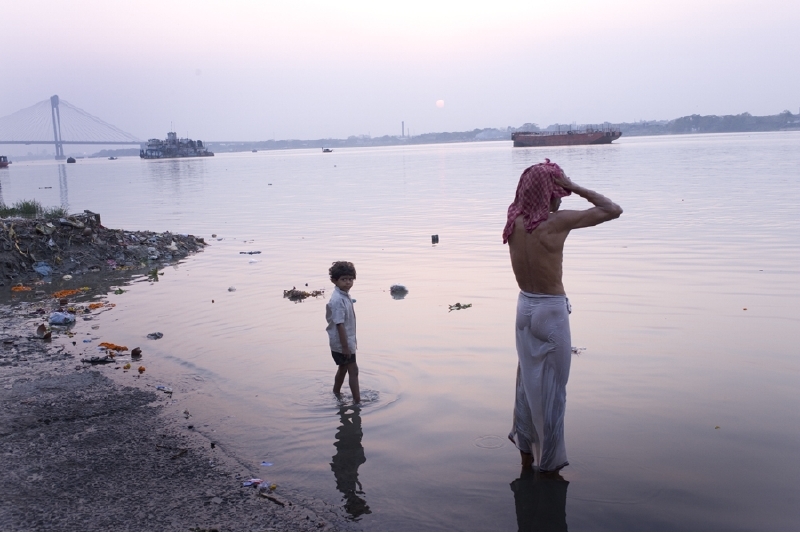 There is ghats in Hooghly River that flows at the center of the town, and people are having a bath. There is incense smoke, and people prepare for a new day there purifying oneself. The contradiction of bottomless of an Indian society can be forgotten in the evening here.